Professor Galves is an expert on Evidence and has co-authored two legal text books on the subject. 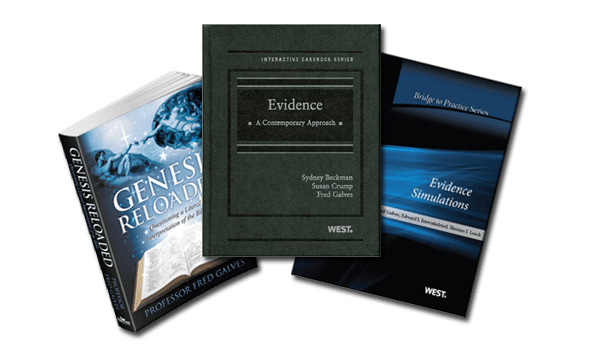 The first is an Evidence casebook entitled Evidence: A Contemporary Approach. This is a textbook used in Evidence classes across the country. The second is entitled Evidence Simulations. 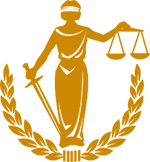 It can be used in both Evidence classes as well as Trial Advocacy classes. A third book is forthcoming entitled Global Issues in Evidence. This comparative law book will be available for use in the Evidence course as well as any special international comparative law course. Professor Galves has also released a non-legal book called Genesis Reloaded. Galves’ thirty years of legal experience propelled him into the writing of Genesis Reloaded in order to evaluate many believers’ insistence to live by a literal interpretation of the Bible.